This covers the provision of a clean, fresh water supply. 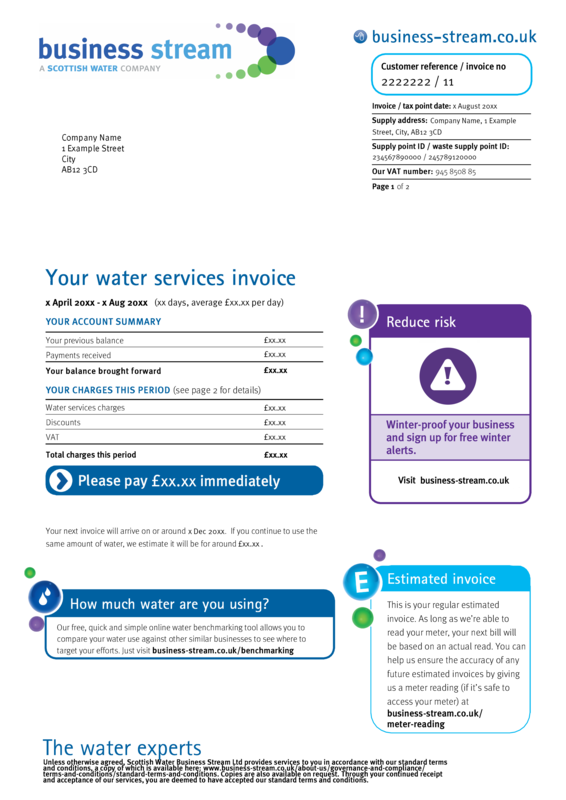 As you have a water meter, the charge is based on your recorded water use. You won't know exactly what you're going to be charged in every bill because the amount of water you use could go up or down depending on water use by your business or by using water saving appliances. You will be responsible for paying for any water loss as a result of that leaks on your property or within your property’s boundary. Any business that is connected to the public water and sewerage system is required to pay a charge towards the cost of collecting and treating rain water from the property. These charges also cover your contribution to the public roads drainage system and helping to keep the roads free from flooding. 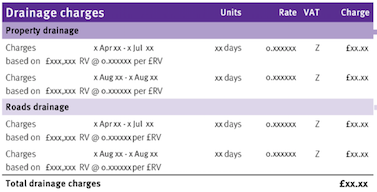 These charges are based on the Rateable Value (RV) of your property, even if you are exempt from commercial rates. 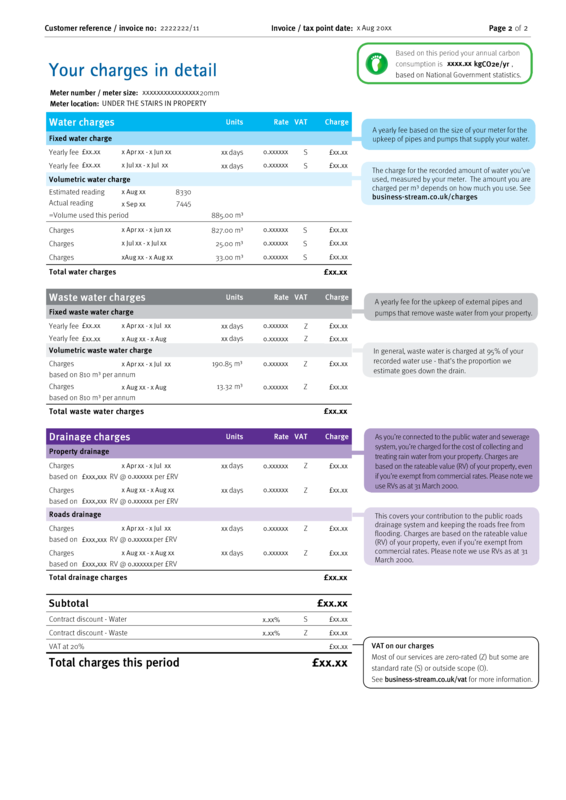 Got a question about Metered Bills in Scotland? We’ve included our most asked questions below. The period of time that your charges cover is displayed on the first page of your bill, above the account summary section. This can vary depending on when we receive meter readings. Why are the first 25m3 of water that I use charged at a different rate? For customers whose consumption is measured by a 15-20mm sized water meter, our industry regulations provide us with a standardised rate at which to charge the first 25m3 of water that’s consumed. After that point, we are able to offer our reduced rate and will apply the new rate for all consumption that is over and above this level.